Tennis Instruction Online for Beginners & Coaches : Let's Get Started! I’m Randy Reynolds, creator of TNRS. If you are looking for online tennis instruction, training and resources, this page is for you! It contains the information you need to get up to speed quickly and start improving your tennis and coaching game confidently. My belief in helping you learn to play and coach tennis is simple: Share candid tennis instruction, training and resources; while working hard and leading by example. I have a post that I deem required for anyone who is serious about improving at tennis. It lays out how to bring meaning to your tennis so that you make progress. There are 4 main areas in tennis: technique, strategy, training, and psychology. 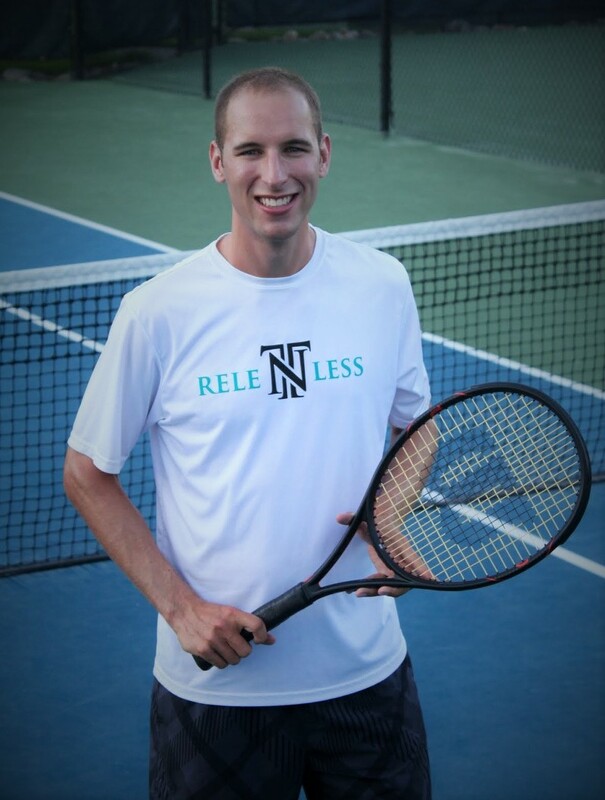 The technique section of the website will provide you with the foundational tennis instruction on technique and ways to practice the lessons for tennis beginners and more advanced players. Although you may understand these lessons intellectually, your body will need to learn through playing and countless repetitions until your movements become fluid. It’s best to focus on the process and patiently wait for the results. Here you will find tennis instruction on ways to form an overall strategy, to use your advantages against your opponent’s weaknesses in order to gain an advantage, applying tennis tactics to achieve your strategy, and helping you make smart tactical decisions to win more points. This section includes activities that can help improve an athlete’s key skills that are vital to playing tennis well. These key skills are ball judgement, timing, rhythm, and feel. These skills are developed over time and can be trained. Let’s begin by dispelling some myths and set realistic expectations. Improving at tennis is NOT easy and takes a lot of hard work. Nothing in life comes easy and tennis is no different. Many tennis marketers and online instructors will try to persuade you to think otherwise. Why? Because they are trying to make money from false hopes that there is an easy fix. I am here to tell you the truth, that improving at tennis takes receiving the right information and putting in hours and hours of practice to build skill. I’ll do my best to guide you and give you the tennis instruction, training and resources that you need, but I can’t force you to take action; that’s up to you. Improving at tennis does NOT happen overnight. I don’t believe in quick fixes. I wish there was an app or eBook out there you could download to play like the pros but there isn’t. You may learn a great technique in 15 to 20 minutes intellectually, but it takes many repetitions for your body to master how to move, setup, and hit the ball. Most professional tennis players that we see as spectators have spent their lives acquiring these skills. They commonly play tennis 4 to 6 hours everyday, along with 1 hour of additional training, over the course of several years. We recreational players can improve, work on weaknesses, become more self-aware, but it is not realistic to compare ourselves to the pros. Instead we can learn from their game and experiences. Before you get going with improving your tennis or coaching game, I’d love to share with you some insights and guidance that I’ve learned about tennis technique for beginners. The tennis instruction in this email course is exclusive. You won’t find it anywhere else. I do that because I believe it’s important to start out with a focused, nurturing experience that rewards commitment. In closing, I want to say that I am here for you as a guide as you begin or continue your tennis journey and as a friend. I will do my best to respond to all emails and messages that come my way. I hope that you find the blog to be helpful and that your tennis game is better because of it. Thank you so much for your support. I would love for you to say hi to me on my Facebook Page, I will definitely respond and I look forward to meeting you!